Spina bifida is the most common of a group of birth defects called neural tube defects. Spina bifida is a defect in the development of the vertebrae, leaving part of the spinal cord exposed. More than 70,000 people today live with spina bifida, according to the Spina Bifida Association. Scientists aren't sure exactly why people get spina bifida, but they believe it has to do with a combination of genes and the environment. One of the best ways to prevent spina bifida is to take folic acid vitamins for at least one month before getting pregnant and during the pregnancy. 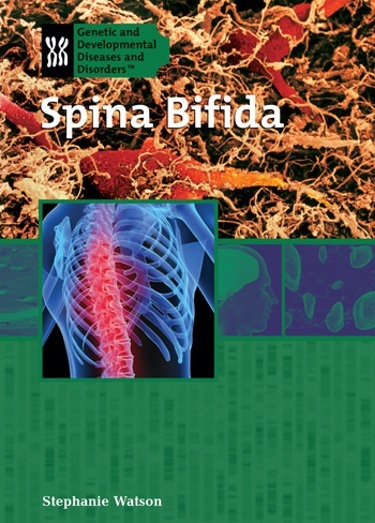 In this book, students learn about the history of spina bifida, genetics and inheritance of traits, genetic mutations, who can have spina bifida and how it is treated, and the medical advances in research.